he Elderberry is popular with herbalists for health concerns during the winter season. All parts of the elder are rich in vitamins and minerals. 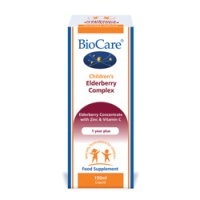 Elderberry naturally contains anthocyanins; a potent flavonoid antioxidant to support tissue integrity and is rich in vitamin B and C to support a healthy energy level. 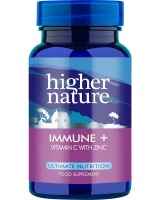 For a healthy immune system, especially during the winter months. Keep Sambucol® in the cupboard all year round. 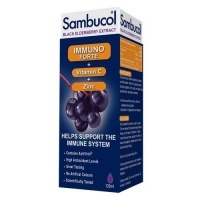 This tasty elderberry antioxidant was developed by virologist Dr. Madeleine Mumcuoglu. Sweetened with glucose. 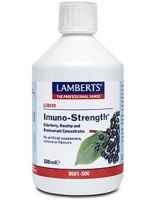 Lamberts Imuno-Strength Liquid - Elderberry, Rosehip and Blackcurrant Concentrates. Suitable for children from 5 years. 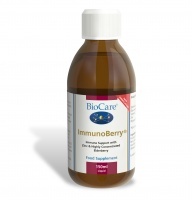 A potent flavonoid antioxidant to support tissue integrity.